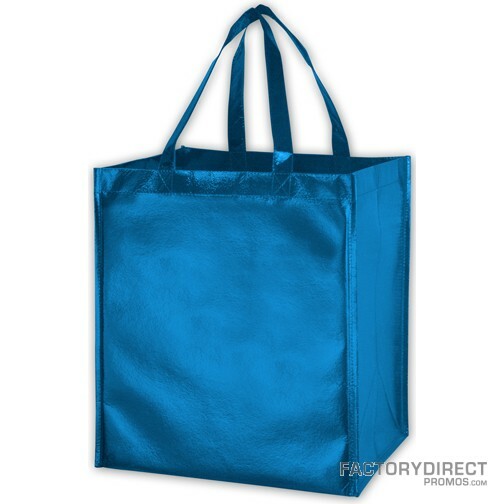 Our metallic grocery bags are a great fit for any demographic that involves women. 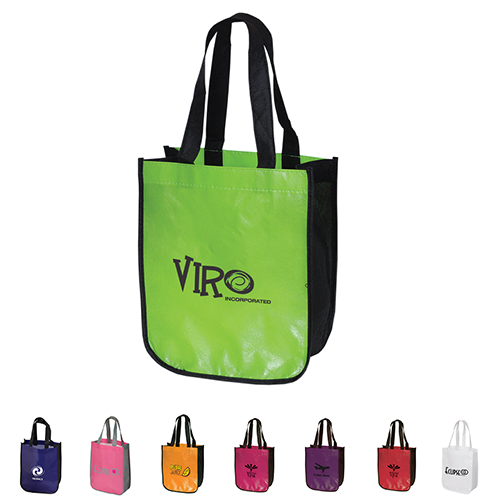 In fact, one of our customers offered a custom metallic bag at a women’s tradeshow and had more prospects at their booth than they ever had before. 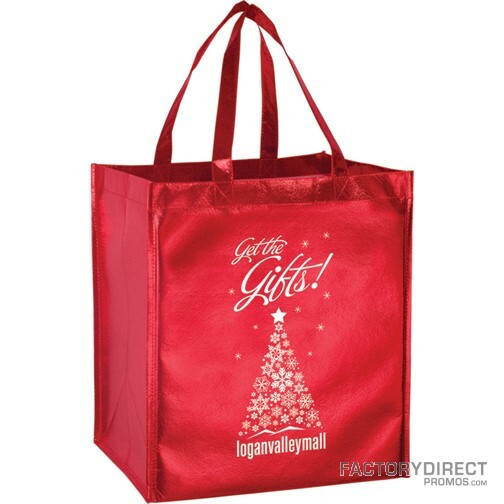 Made from non-woven polypropylene with a smooth textured, metallic, the eye-catching design of this bag really stands out while providing strength. 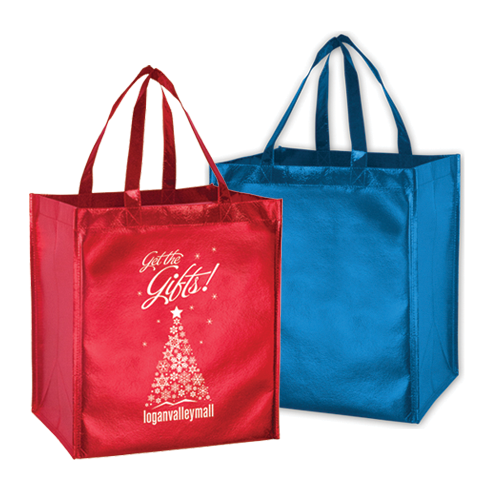 A recycled plastic, poly board insert means carrying heavy items in this bag is a breeze. 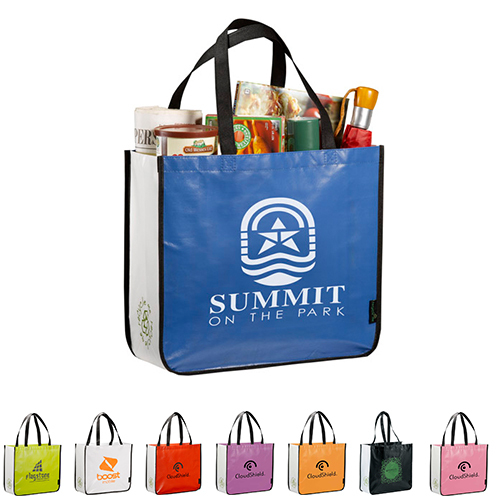 Full customization is, as always, available at great wholesale pricing.